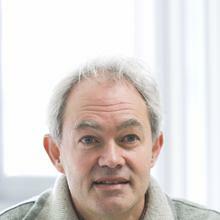 Professor Simon Keay of the University of Southampton has been elected a Fellow of the British Academy. A specialist in Roman Archaeology and Associate Dean for Research and Enterprise in the University’s Faculty of Humanities, he has been awarded the honour in recognition of his outstanding contribution to research. The British Academy has elected a total of 66 Fellows this year, including 42 distinguished UK academics, spanning the breadth of the humanities and social sciences. 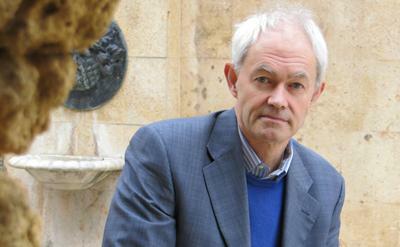 It has also announced that Professor Sir David Cannadine, a modern British historian, will take up office as the organisation’s new President in 2017. Professor Keay, who is also Research Professor and Director of Archaeology at the British School at Rome, has been the Principal Investigator on numerous international archaeological research projects. These include, the ‘Ager Tarraconensis survey’, ‘Urban Connectivity in Iron Age and Roman Southern Spain’, and ‘Roman Towns in the Middle and Lower Tiber Valley’. He has directed excavations and geophysical survey at a range of sites in Spain and Italy. Perhaps most notably, Professor Keay is the Director of the Arts and Humanities Research Council funded ‘Portus Project’. He has been working at Portus, the ancient port of Rome, since 1998. In recent years his research there has attracted much media attention, including a major BBC documentary. Recently, Professor Keay was awarded €2.49 million of European Research Council funding to study a large network of Roman ports in the Mediterranean – stretching from Turkey in the east, to Spain in the west. In total, the ‘Roman Mediterranean Ports’ project is examining 31 ports in nine different countries. Professor Keay was formally elected as a Fellow of the British Academy on the 14 July, and will be formally admitted in late September 2016. Professor Simon Keay is a Professor of Archaeology at the University of Southampton and a Fellow of the British Academy.